In November 2002, the Beijing authorities announced the creation of a Qualified Foreign Institutional Investor (QFII) scheme that would give foreign investors access to mainland China's domestic markets, including the US$500bn A-share market. Since last May, when the first approvals were given, Citigroup, Deutsche Bank, Goldman Sachs, HSBC, ING, Morgan Stanley, Nomura and UBS have all received QFII licences. The central government hopes that these foreign investors will increase market stability and improve capital allocation by bringing sophisticated risk management techniques and a long-term investment orientation to what has been so far a speculative and inefficient domestic market. However, even with further liberalisation of foreign investment rules, the steps taken by the government are unlikely to help improve China's financial markets. The creation of a sophisticated investor base in China does not require foreign investors; it requires a change in the way investors are able to process information. If this change occurs, foreign guidance will be unnecessary because sophisticated local investors will emerge spontaneously to develop local markets. If it does not happen, neither Chinese nor foreign investors will act to improve the market's capital allocation mechanisms. To see why, it is important to understand how investors make trading decisions. An efficient and well-functioning market is comprised largely of three types of investor. Speculators take advantage of information about changes in supply or demand factors that will have an immediate impact on prices. By trading often, they disseminate information quickly and provide other investors with liquidity. Value investors buy assets in order to earn the economic value generated over the life of the investment. Their role is to channel capital to its most productive use. Arbitrage traders exploit pricing inefficiencies to make low-risk profits. They ensure that markets provide clear pricing signals. Each type of investor has a different trading strategy and focuses on different types of information. Speculators are usually 'trend' traders, looking for many opportunities to make small profits. They often buy in rising markets and sell in falling ones, and this behaviour, by reinforcing price movements, can increase market volatility. Value investors typically do the opposite. They tend to have fairly stable target price ranges, and when an asset trades below or above the target, they buy or sell, thereby countering market volatility. Arbitrage traders look for assets that are mis-priced relative to equivalent assets, and they buy and sell simultaneously to lock in small, low-risk profits. A well functioning market requires all three types of investor. Without them, markets lose their social value of ensuring that economically beneficial projects gain access to cheap capital. A market dominated by speculators, for example, tends to be volatile and inefficient at allocating capital. This is because speculators focus largely on variables that may affect short-term demand or supply for the asset, such as changes in interest rates, margin levels, political and regulatory announcements, or insider behaviour. They downplay the importance of long-term economic information. Moreover since their investment horizons are short, they can ignore the impact of high discount rates. In a market dominated by speculators, prices can rise very high or drop very low on information that may have little to do with economic value and a lot to do with short-term, non-economic behaviour. Value investors, however, keep markets stable and focused on growth. For value investors, short-term non-economic variables are not an important or useful type of information. They are more confident in their ability to discount economic variables that affect cashflows over the long term. Furthermore, because the present value of future cashflows is highly sensitive to the discount rate used, these investors spend a lot of effort in developing appropriate discount rates. China does not have a well-balanced investor base. There are almost no arbitrage traders because they require low transaction costs and the legal ability to short securities, neither of which is available on the mainland. There are also very few value investors in a market dominated by speculators. This makes the Chinese capital markets fairly volatile and very poor at rewarding companies for decisions that add economic value over the medium or long term. Why does China have so few value investors and so many speculators? Some experts argue that it is because it lacks investors with long-term investment horizons, or that very few Chinese investors have the credit skills or the sophisticated analytical and risk management techniques necessary to make long-term investment decisions. If these arguments are true, then increasing the number of experienced foreign investment funds is certainly a good way to make the markets more efficient. But the issue is more complex than that. China, after all, already has natural long-term investors. These include mutual funds, insurance companies, pension funds and, most important, a very large and remarkably patient potential investor base in its tens of millions of savers, most of whom save for the long term. China also has many bankers and academics who have trained at leading foreign universities and financial institutions, and who are more than qualified enough to understand credit risk and portfolio techniques. So why aren't Chinese investors filling the role taken by their counterparts in developed markets? The answer lies in the kind of information that can be gathered in Chinese markets and how the discount rates investors use to value this information are determined. 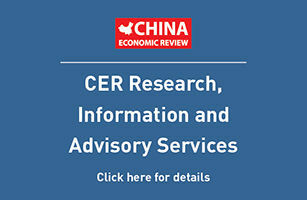 If we broadly divide information into fundamental information, used for making economic decisions about long-term cashflows, and technical information, which covers shortterm supply and demand factors, it is obvious that the Chinese markets provide a lot of the latter and almost none of the former. The ability to make value decisions requires a great deal of confidence in fundamental information, such as the quality of economic data and the predictability of corporate behaviour, but in China today there is little such confidence. When it comes to technical information useful to speculators, however, China is very well endowed. Insider trading is common. Opaque corporate governance and ownership structures can cause sharp fluctuations in corporate behaviour. Illiquid and fragmented markets allow determined traders to cause large price movements – in fact, the newest fashion in the market is for speculators to trade on guesses about the purchasing and selling plans of QFII investors. In addition, the single most important player in the market, the government, is very active and generally behaves in ways that are not subject to economic analysis. This has a very important effect in undermining value investment and strengthening speculation. In the first place, unpredictable government intervention causes discount rates to rise, since these must incorporate additional uncertainty. Second, it puts a high value on research and information directed at predicting and exploiting short-term government behaviour, and so increases the profitability of speculators at the expense of other types of investor. Even credit decisions must become speculative since, when bankruptcy is a political decision and not an economic outcome, lending decisions are driven not by considerations of economic value but rather by political calculations. A dramatic example of the impact of government behaviour on value investing was the initial public stock offering of China Telecom in November 2002. The offering was scheduled to come out during a period of weak international demand, and there was some concern that it might not be as successful as hoped. Because the meeting of the 16th Party Congress was taking place in Beijing at the time, a failed transaction might have been seen as a loss of face. In an unsubtle attempt to bolster demand for the deal, the Chinese government pushed through a large and unexpected increase in international interconnection fees, which would result in higher profits for the company. Instead of boosting demand for the stock, however, this actually had the opposite effect. The deal, originally expected to raise more than US$3bn, ended up raising only US$1.4bn, even after being priced at the bottom of the expected price range. Why was it a failure? Much of it had to do, of course, with weak global markets, but the final sudden drop in demand came about largely because, by its actions, the government made it clear that it would allow non-economic factors to affect the company's profitability. They raised their discount rate – that is, they lowered the price at which they were willing to buy shares. This illustrates one of the main problems facing the development of local capital markets on the mainland. China is attempting to improve the quality of financial information and is trying to make markets less fragmented and more liquid but, although these are important steps, they are not enough. Value investors need not only good economic and financial information, but also a predictable framework in which to derive reasonable discount rates. Here, China has a problem. It is difficult enough to estimate discount rates in an environment of regulated interest rates and pricing inefficiencies in the market but, in addition, Chinese discount rates must also account for excessively high levels of uncertainty. Some of this uncertainty represents normal business uncertainty. This is a necessary component of an economically efficient discount rate, since all projects have to be judged not just on their expected return but also on the riskiness of the outcome. But Chinese investors must incorporate two other – economically inefficient – sources of uncertainty. The first concerns the quality of economic information. The second is the large variety of non-economic factors that can influence prices, such as market manipulation, insider behaviour, opaque ownership and control structures, and the lack of a clear regulatory framework that limits the government's ability to affect economic decisions. These factors force investors to incorporate too much additional uncertainty into their discount rates. This is the important point. It is not just that it is hard to get good economic and financial information in China. Even when good information is available, because of the variety of non-economic factors that affect value, the appropriate discount rate is so high that it will rarely lead to a buying decision from a value investor except at a very low price. In China, value investors are essentially priced out of the market. Speculators, however, can be much more confident about the information they use and so it is their behaviour that drives the market. The consequences are not surprising. Markets respond to a large variety of non-economic information and rarely respond to estimates of economic value. China is betting that increased participation by foreign investors will improve the functioning of the capital markets by reducing the bad 'Chinese' habit of speculation and increasing the good 'foreign' habits of value investing and arbitrage. But this faith in foreigners is misplaced. There is nothing particularly unsophisticated or shortsighted about Chinese investors or their investment practices. However, the combination of weak fundamental information and structural tendencies in the market – heavy-handed government interventions, weak governance and market manipulation – reward speculative trading and undermine value investing. This forces all investors to focus on short-term technical information, rather than fundamentals, and to behave speculatively. All rational investors in Chinese markets must be speculators if they expect to be profitable. As long as this is the case, investors will not behave in a way that promotes a productive capital allocation mechanism, and bringing in foreigners will have no meaningful impact. What China must do is something quite different. It must reduce the importance of speculative trading by reducing the impact of non-economic behaviour from government agencies, manipulators and insiders. It must improve corporate transparency and governance. It must continue efforts to improve the quality of both corporate reporting and national economic data. Finally, it must deregulate interest rates and open up local markets to permit arbitragers to enforce pricing consistency and to allow better estimates of appropriate discount rates. If carried out correctly, these changes will be enough to transform the way Chinese investors behave by permitting them to make long-term investment decisions. They will reduce the profitability of speculative trading and increase the profitability of arbitrage and value investing, and so encourage a better mix of investors. If China follows this path, it will spontaneously develop the domestic investors who channel capital to the most productive enterprises. Until then China's capital markets, like those of many other undeveloped countries in Latin America and Asia, will be poor at allocating capital no matter how many famous foreign fund managers open subsidiaries in Shanghai, Beijing or Shenzhen. Michael Pettis (michael@pettis.com) is a professor of finance at Tsinghua University and Columbia University and a former New York-based investment banker and bond trader. He is the author of The Volatility Machine: Emerging Markets and the Threat of Financial Collapse (OUP, 2001).